Can flickering a card with echo avoid echo? Origins planeswalkers' interaction with unearth. Does Ixidron void the unearth ability? Permanent control with Mind control + Ghostly flicker? 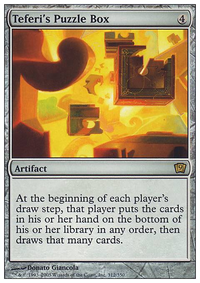 Exile two target artifacts, creatures and/or lands you control, then return those cards to the battlefield under your control. In the case of In Bolas's Clutches , Clutches would leave with the player, ending the control-changing effect and returning the enchanted permanent to you. 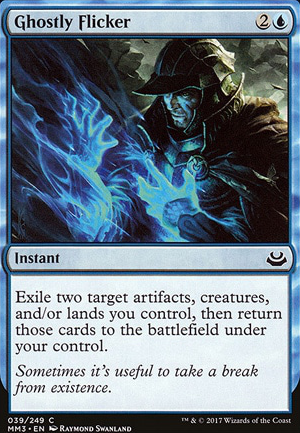 On the other hand, if they used Ghostly Flicker or similar to exile and return the stolen permanent directly under their control, you wouldn't get it back; it would be exiled. I have built a similar deck and the main win condition is to have the Peregrine Drake and Scrivener or Archaeomancer on the field with Capsize and Ghostly Flicker or Displace in your hand with the other Ghostly Flicker or Displace in your graveyard. You will need 9 mana with at least 3 blue. 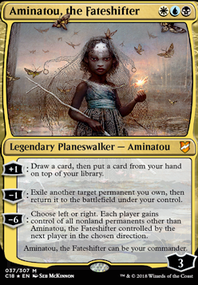 Now you can Capsize your first target permanent (Yes, even Lands!!). Now cast Ghostly Flicker or Displace targeting Peregrine Drake and Scrivener or Archaeomancer . Peregrine Drake will re-enter and untap 5 lands, Scrivener or Archaeomancer will re-enter targeting Ghostly Flicker or Displace in your graveyard, returning it to your hand. Do this one more time and all your lands will be untapped and you can now Capsize your next target and start again. 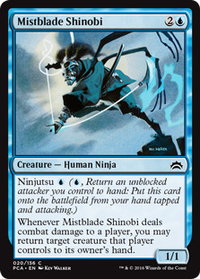 Demonstrate the loop and you will be able to bounce-back all of your opponents' permanents. 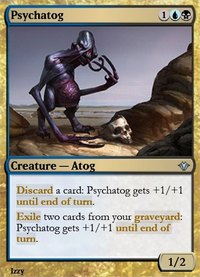 You can then attack, pass the turn and Capsize your opponents' lands on their turn as soon as you have priority. 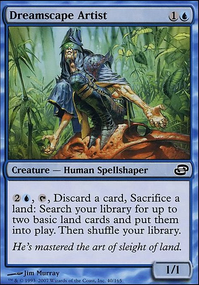 Other tips is that Capsize is critical so you may want to wait until you have 11 mana (5 blue) and hold up a Counterspell to protect your Capsize . I also run a Ulamog's Crusher and will leave two potentially problematic permanents an opponent controls and let Annihilator 2 destroy them. Devious Cover-Up is another card that should be considered for this build. 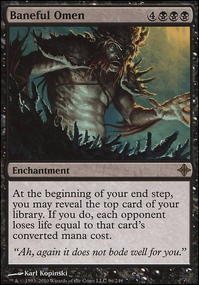 It can exile someone else's Capsize and shuffle four cards from your graveyard back into you library. This deck is good at digging and will generally be able to survive until you can assemble your combo. If anyone is considering it, do it. Tatyova, Benthic Druid is a fun commander and don't be afraid to run 40+ lands, this will help Tatyova, Benthic Druid dig out the combo pieces with land drops. With the creature changes you made I would highly consider running flicker spells: For example Ghostly Flicker and Displace . They also help against removal and bounce. Using Ruse will allow you to mill 4 cards per spent. Using Flicker or Displace will allow you to mill 6 cards per spent. The loop works. With Release to the Wind , since you can cast the exiled card without paying its mana cost, it functions similarly to flicker effects when combined with flash. 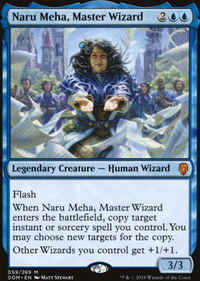 So you could flash Naru Meha, Master Wizard back onto the battlefield while the original Release to the Wind is still on the stack. 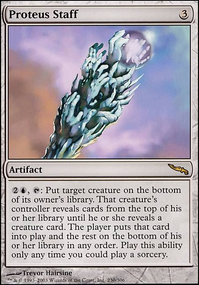 With Acrobatic Maneuver and Ghostly Flicker the return is automatic and will similarly trigger the spell-copying ability. The only thing you have to watch out for is that Ghostly Flicker requires two valid targets, since it doesn't say "up to." For all of these, you'll also need a valid target for the initial cast of the spell you'll be copying.